Welcome! 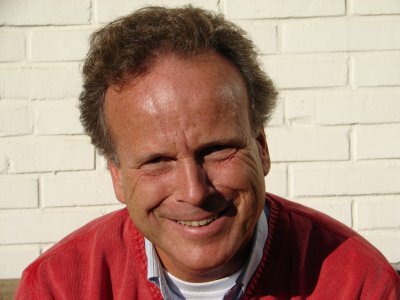 My name is Jeroen Drontmann, through Heart Matters I specialize in connecting people with themselves (Head and Heart) and with each other. I have worked as a change management consultant and executive coach for the last 25 years. Heartmatters activities focus upon leadership, team development and cultural change. In 2006 I co-founded The Global Leaders Academy (www.globalleadersacademy.com), a global network of leaders in business and society. Individuals at the top of ‘their’ tree who are committed to creating sustainable wellbeing for themselves, for their organizations and for the wider planet. Through a broad range of innovative peer group learning experiences and events the GLA builds self organizing communities of learning across organizations, sectors and nations. The GLA is supported by world class researchers, academics, scientists, religious leaders and others at the top of ‘their’ tree who are co-learners with us across all our 4 learning domains: personal, interpersonal, organizational and global. I am an associate at Leaders Quest (www.leadersquest.org). Leaders' Quest is a global community that exists to improve the quality of leadership in the world and to influence the way leaders have impact. We take groups of global leaders to India, Brazil, China, South Africa and other emerging countries. A Quest helps them explore the world, understand global issues from other peoples' perspectives, learn form inspiring people and re-examine purpose for them and their organization. Leaders Quest designs and delivers leadership programs through which young leaders from emerging and developed countries can learn 'from and too each other'. I am also a global affiliate with Aberkyn (www.aberkyn.com); a partnership of change leadership facilitators. Aberkyn's purpose is to develop leaders who improve the performance and health of organizations and are a force for good in the world. Aberkyn was co-founded by McKinsey & Company. Stimulating awareness (self-generated insight) and responsibility (the choice to own a task) both on the individual, team and organizational level are key in all of the above described activities. I studied law and hold a postgraduate in management consultancy. As a management consultant I worked with Holland Consulting Group and Coopers & Lybrand in the Netherlands. Since 1994 I am self-employed. As a coach I am involved in several international leadership programs. Together with Sir John Whitmore I delivered Performance Coaching workshops in several European countries. For PriceWaterhouseCoopers I am involved in their Global and European leadership development programs. Take your time to browse around. I look forward to hearing from you and partnering with you for the journey ahead.